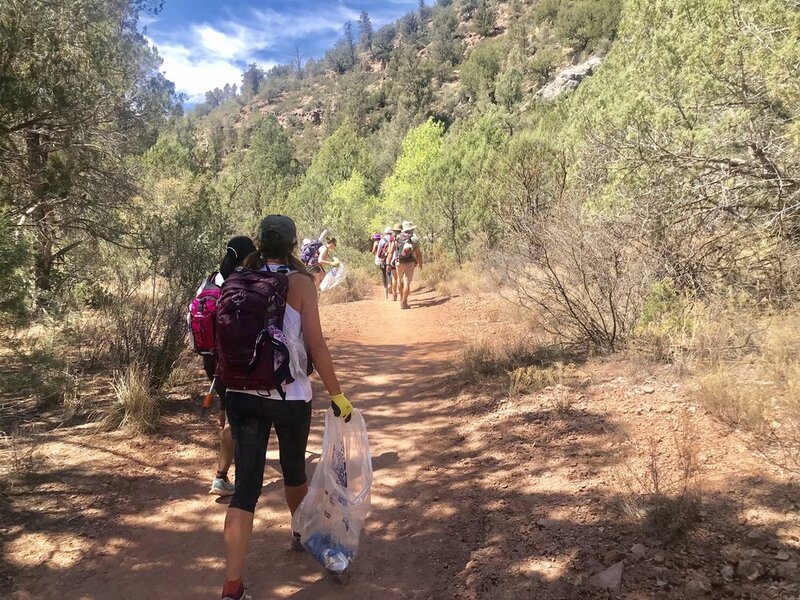 We celebrated Earth Day and the 3rd Anniversary of our 1st Natural Restorations Cleanup by partnering with the Arizona Chapter of Mountain Chicks for a Fossil Springs Cleanup. 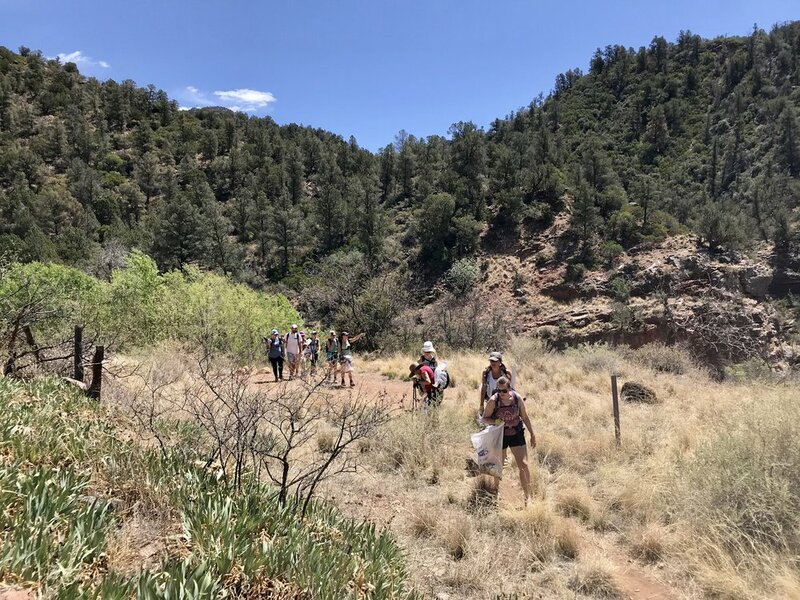 We hiked Fossil Springs Trail with an amazing group of volunteers, picking up 71.65 pounds of scattered trash found along the trail, at the Springs, and at several swimming holes. 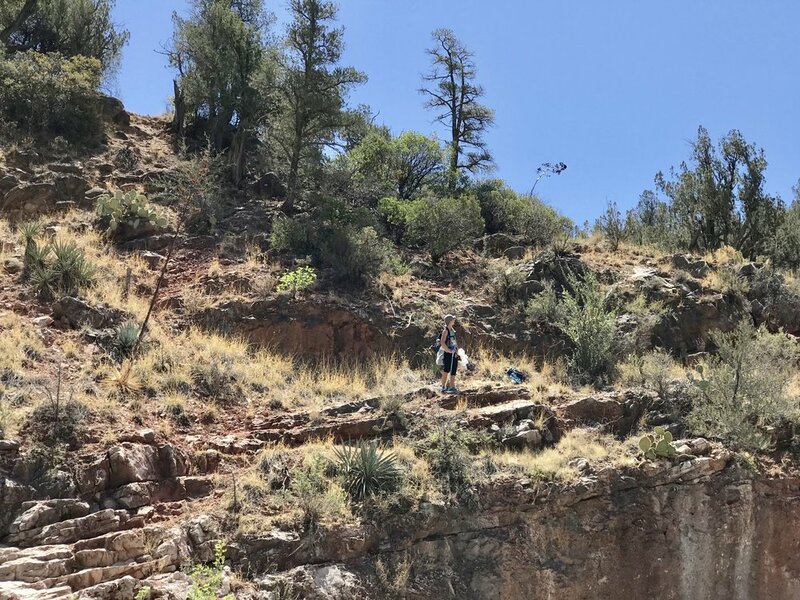 Fossil Creek is part of The National Wild & Scenic Rivers System that was created by Congress in 1968 to preserve certain rivers with outstanding natural, cultural, and recreational values in a free-flowing condition for the enjoyment of present & future generations. 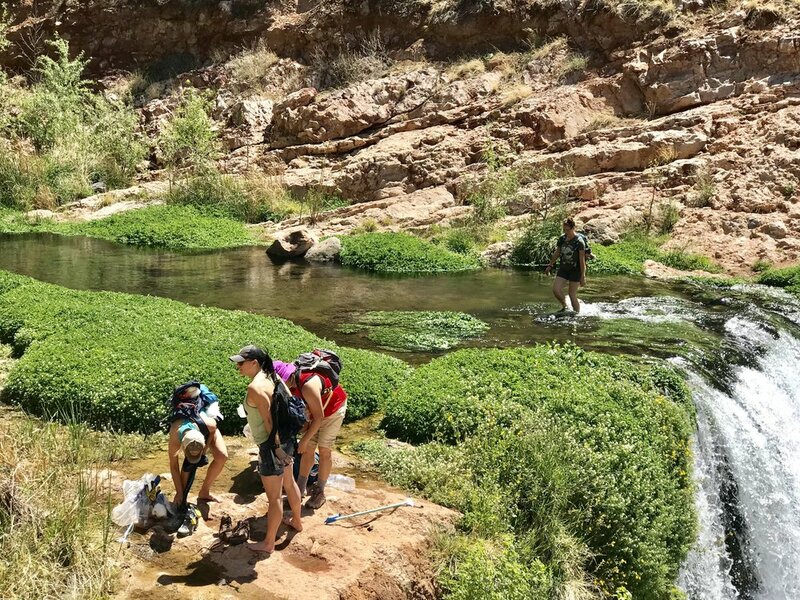 To celebrate the 50th Anniversary, we chose Fossil Springs for our Earth Day Cleanup because Fossil Creek is one of only two Wild & Scenic Rivers in Arizona and has been described as the most diverse riparian area in the state. 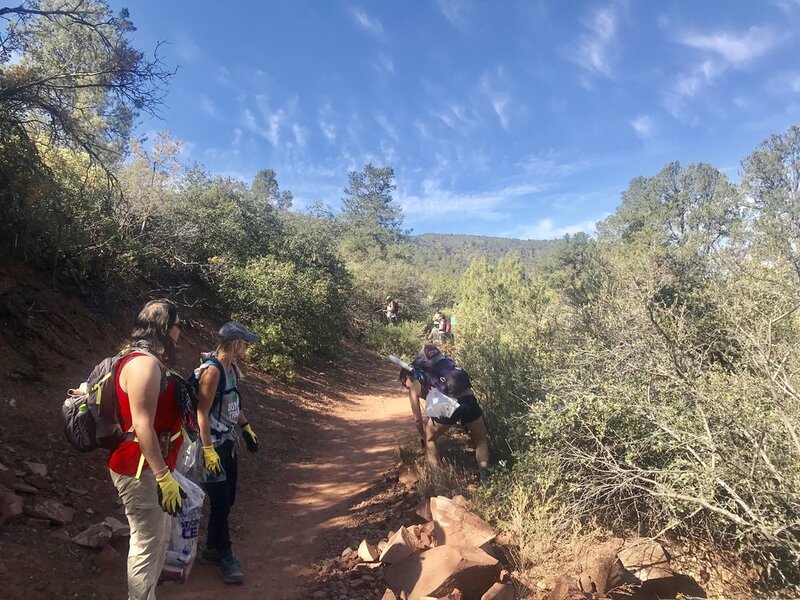 Volunteers gathered early in the morning at the Fossil Springs Trailhead near Strawberry. 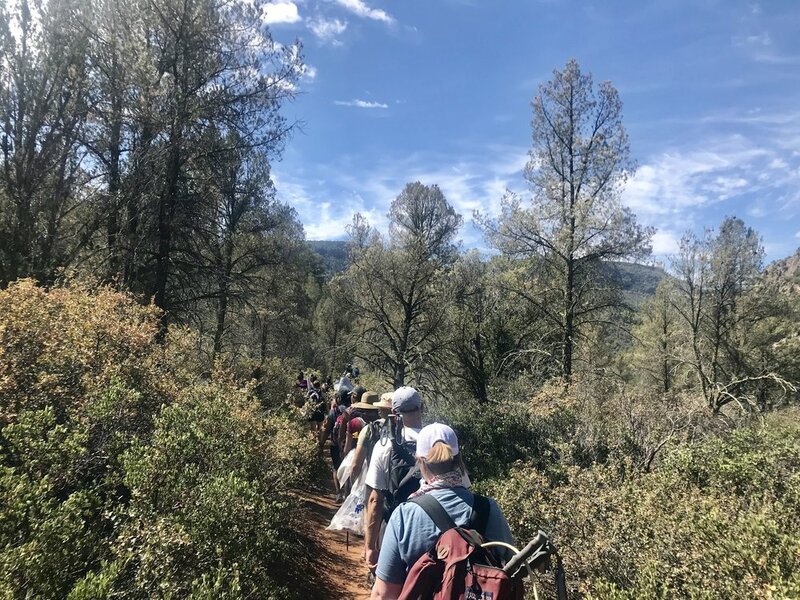 After a safety briefing, we headed down the trail for almost 5 miles. 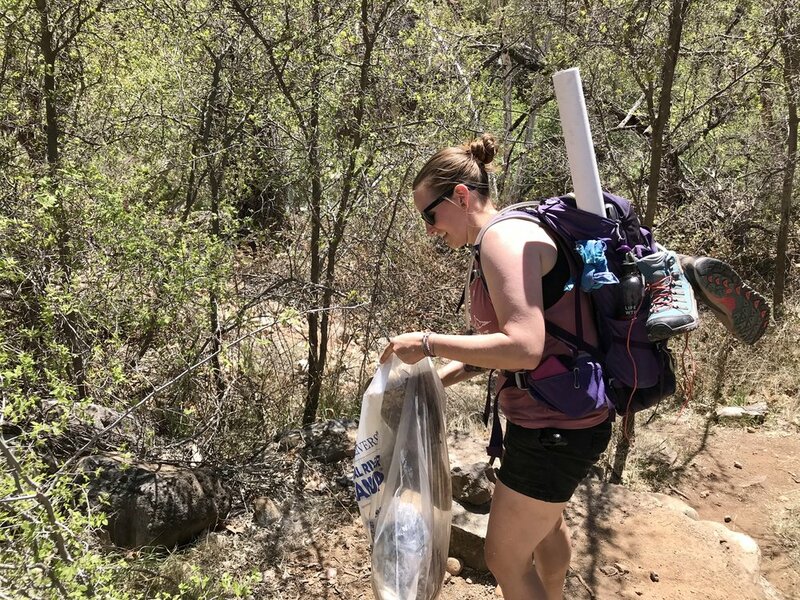 We picked up scattered trash the entire hike down and once we got to the bottom we had lunch, explored the area, and enjoyed the swimming hole. Loose rock and the steep 1600' ascent makes the return climb out challenging. All of the items collected were light weight and could have easily been packed out the same way they were packed in. 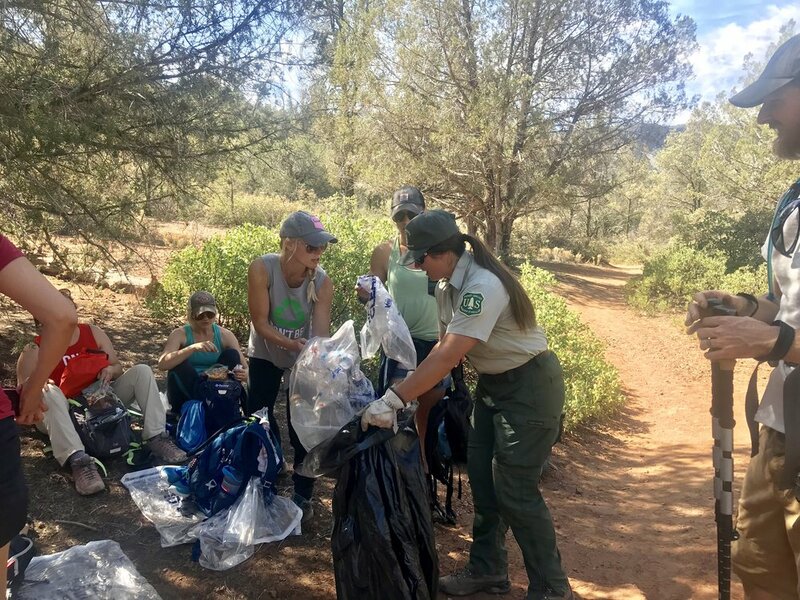 Please make a plan for your trash when you go outdoors! 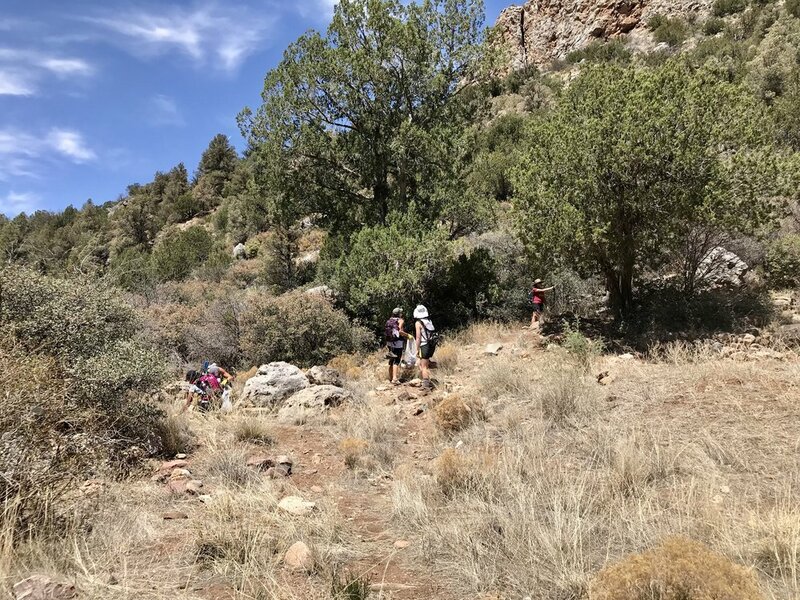 This was our second collaboration Mountain Chicks and we had an amazing time (check out our first collaboration HERE). It was great seeing familiar faces and making new friends. 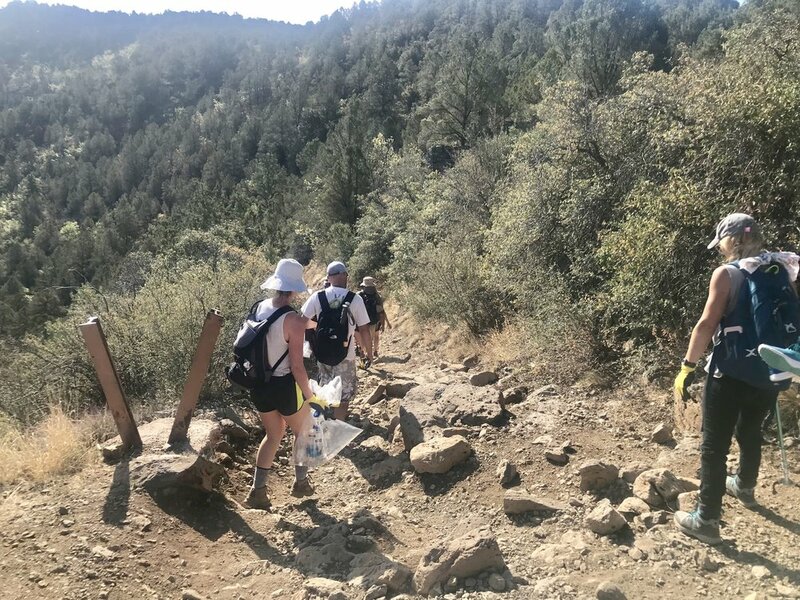 We encourage you join a Mountain Chicks chapter near you so you don’t miss out on these amazing adventures! Thank you Amber Hamik and Kelly Towne for helping us make the event a success! 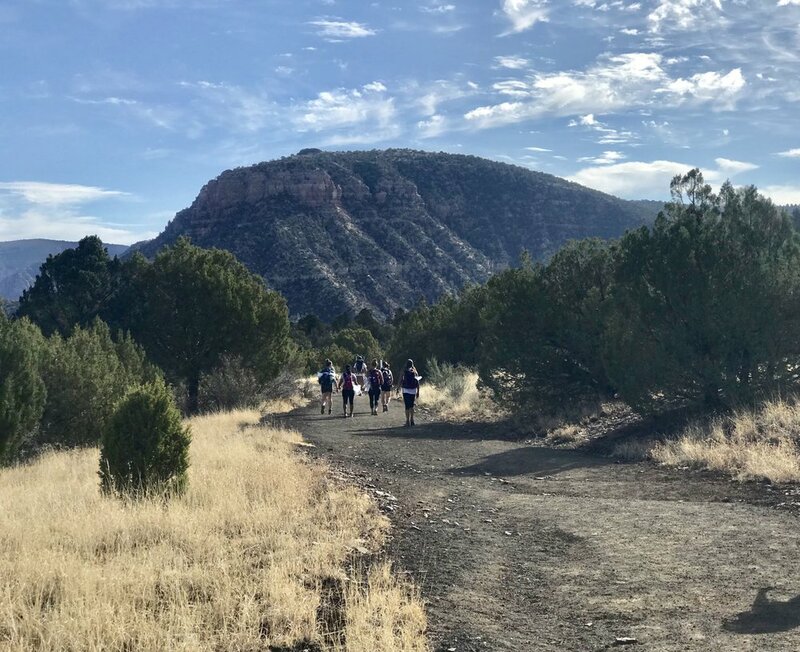 Thank you to American Rivers, CopperPoint Insurance Companies, Desert Monsters Tours, LeBaron & Carroll Insurance, OdySea Aquarium, Salt River Project, & everyone at the Coconino National Forest - Red Rock Ranger District for your support of this event and our overall program that allows us to host projects like this. 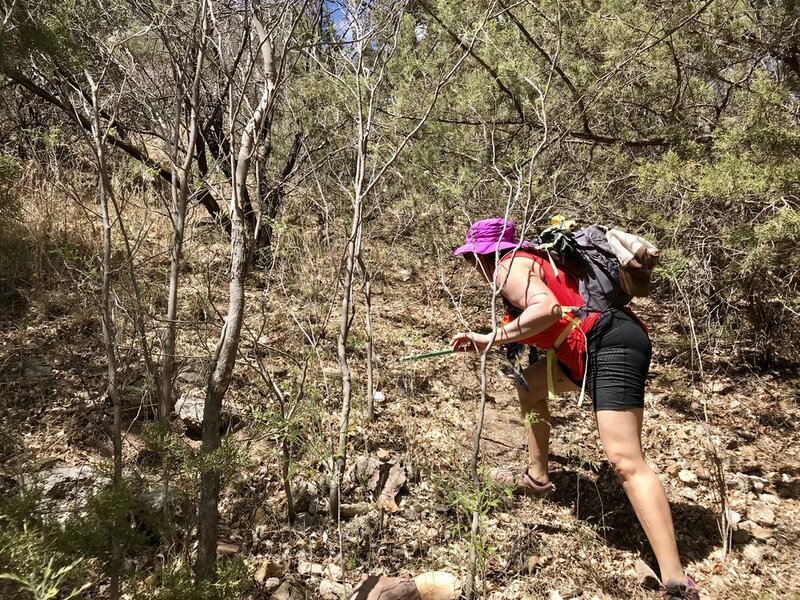 Mountain Chicks was created to give women who hike more options. We are extremely proud to partner with such an amazing organization that shares our passion for the great outdoors! 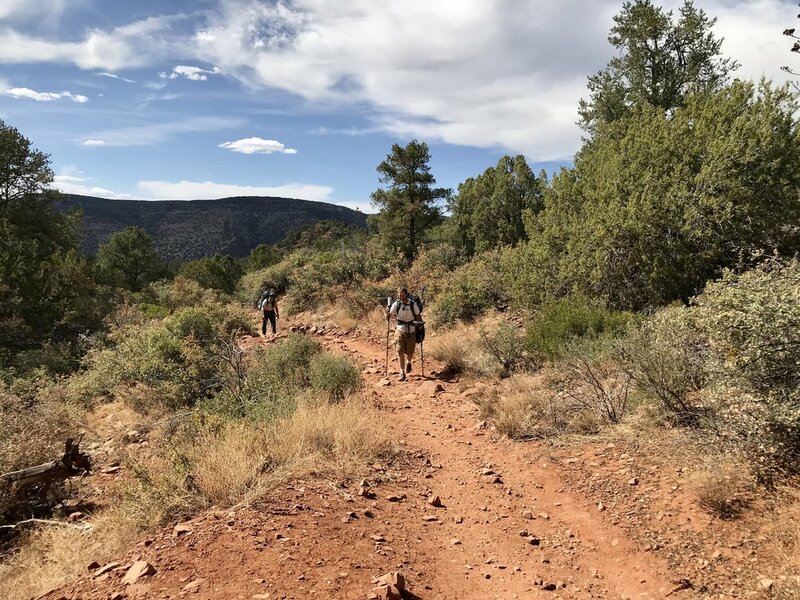 Mountain Chicks is not just for women, "We want you to bring your friends, your guy friends, your furry friends, and whoever else is in your life, on adventures with us! No one owns the outdoors and we're not trying to, which means we're all inclusive!" Click HERE to find a Chapter and Event near you.